Welcome to another week of Weaning Wisdom Wednesday. This week I am joined by Sophie from Life As Mrs D. Sophie is Mummy to the gorgeous Isla Jean who was born the same month as Dex in 2016. Take it away Sophie! Hi. I’m Sophie. I’ve been married to Chris for 4 years now, but we’ve been together for 12 years after meeting while travelling in Malawi in 2004. Our gorgeous (and very cheeky) daughter Isla Jean joined us in May 2016. And for now, that is our family. We love visiting family and friends, and spending time down on our allotment where we grow all sorts of vegetables (that Isla eats barely any of!!) and lots and lots of weeds! We went for a combination of baby-led and traditional weaning. It just suited us and our busy lifestyle. We started weaning just before Isla was 6 months. 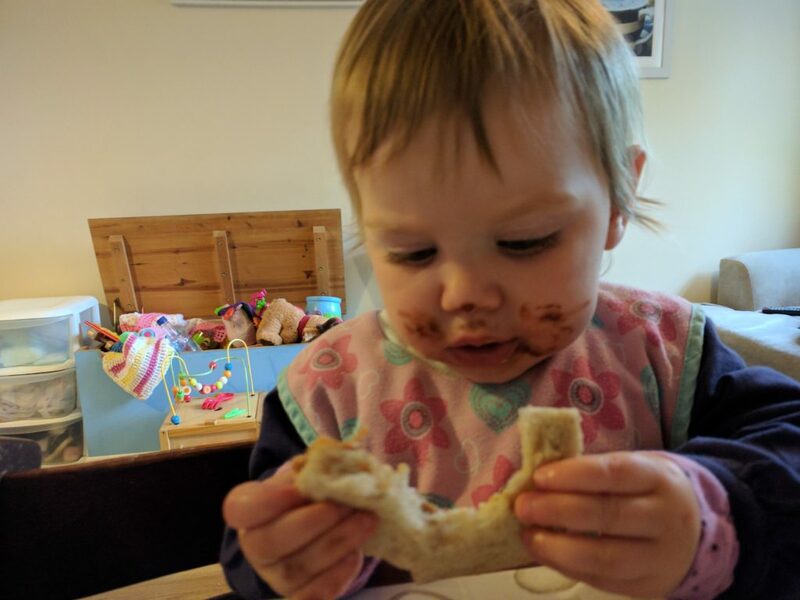 To be honest, I got excited about her trying food…and I’d been sent a load of food from Mamia to try out on her!! The first thing Isla tried was a pouch of “Peas, Peas, Peas”. She seemed to love it, and kept stealing the spoon off me to put in her mouth herself! So we gave her a variety of different pouches…we never went down the “one flavour for a few days” approach, and just gave her whatever we had in. 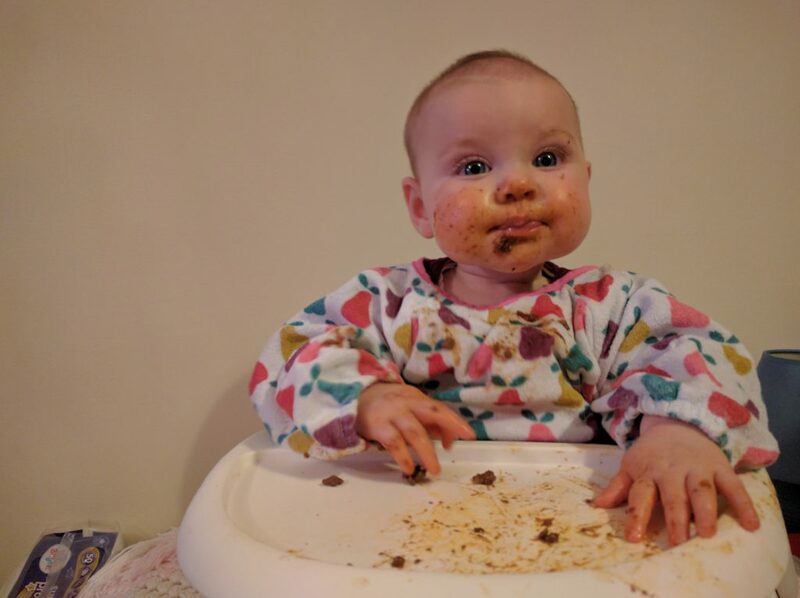 After a couple of weeks or so we gave her some of our chilli con carne, and she demolished it! I think she was wearing most of it, and hiding some in her pockets, but she loved it, and still does. For a long time we just gave her food at dinner time, and she still had breastmilk for breakfast and lunch, with the occasional snack thrown in every now and again. As I said, Isla has always loved chilli con carne. She loved broccoli at the start, and pretty much anything green actually! With the exception of avocado. It is one of the few things she has always refused to eat! When we were out and about Isla would usually eat some of whatever we were having, but we would usually take a pouch with us too incase she didn’t have much of what we were having, or if it wasn’t suitable for her to eat. When we first weaned Isla we used a Mamas and Papas Baby Snug with a tray, which I got second-hand on a Facebook buying and selling site. When she was old enough, we then moved her into a Stokke Tripp Trapp highchair that we’d got off Ebay. It never came with the tray attachment, so we’ve always had it pushed up to the table so she feels she’s eating with us. She loves it. I think it’s a great chair, as you can adjust it as they grow, but if you bought one brand new it is fairly expensive! We’ve also just bought ourselves an IKEA highchair for in the kitchen so that Isla can sit and play in it while seeing what we’re doing when we’re cooking dinner, mostly so that she’s not constantly round our ankles and asking to be picked up. It’s worked so far, she loves it, and it is so cheap! I don’t think I’ve found it too challenging in terms of our weaning journey. 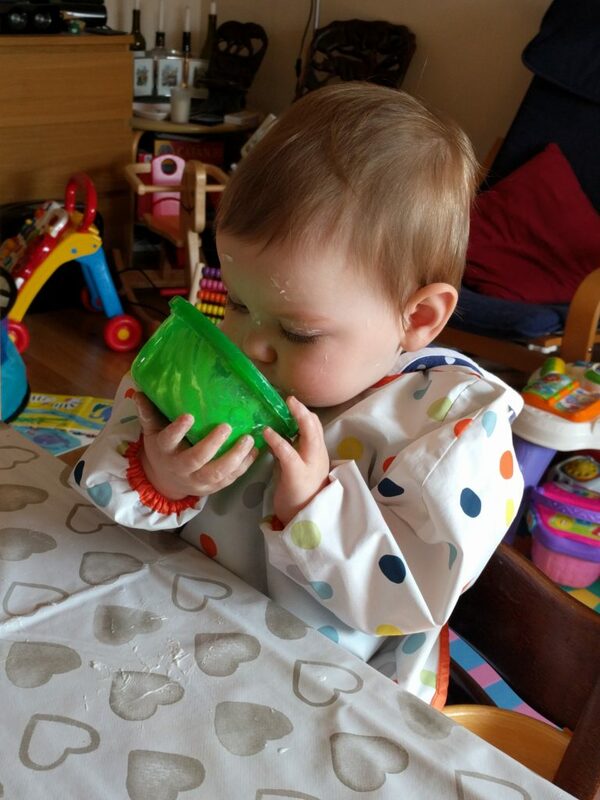 It can be a struggle at times to get Isla to eat fruit and vegetables…but she obviously takes after me there! No, I think we’ve been quite lucky as we haven’t had any criticism at all for how we chose to wean Isla, or the fact that she is still breastfed at 16 months old, and openly in public. Which I’m very thankful for. We try to meal plan, but don’t always stick to it religiously. We can also go for months where we don’t meal plan and just wing it and see what’s in the fridge and freezer. Cloths and bibs from IKEA. The cloths are 10 for £3, and the bibs…I’ve got no idea, but they’re cheap and cover the top half of her completely so have saved a lot of clothes from being stained. I also bought some refillable pouches off Amazon, so that I could make Isla her own food and freeze it, which saved a lot of money. I’m really not sure if I would do it any differently. Maybe I would try and prepare a few more pouches and meals to freeze so that we didn’t spend as much on pre-made ones. But everything else I think I would do the same. Just relax and enjoy it. Try not to fuss about the mess. And look up and watch the video about the difference between gagging and choking. I watched it very early on and it made me feel a lot more confident about feeding Isla. I’m so jealous of the Tripp Trapp – I really wanted one but we just couldn’t justify it. They’re meant to be amazing!